Bikes, Bikes, Bikes…and…The Bat Phone? 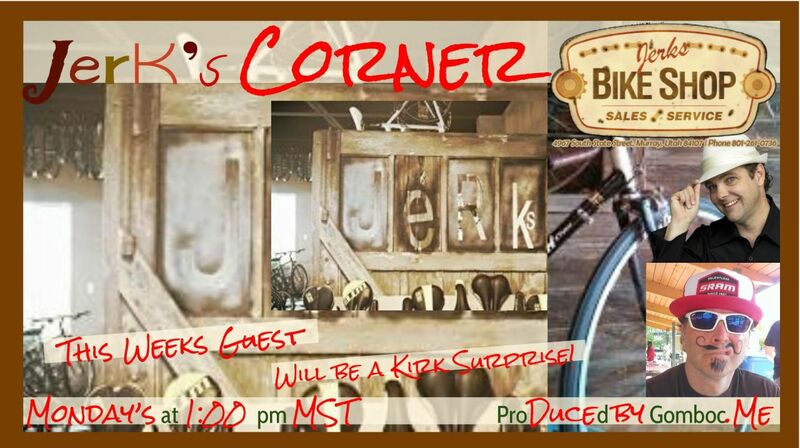 You never know who might show up in Jerks Corner…For that matter you never know if Jerks Corner will be in Jerks Corner. If +Kirk Sherrod gets his way this weeks show is going to be HUGE! This segment of the Murray Utah Cycling Hangout will help you learn how to care for your bike and maintain it. Adrian is the Mechanic at Jerks Bike Shop on State Street in Murray. He will cover simple things like cleaning your chain. If you are into riding bikes in Utah this section will help you care for your bike and give you a new appreciation of all that goes into proper bicycle maintenance. This Hangout On Air is all about Biking in Utah. We try to make this HOA fun and different. One of the most entertaining things about this show is the use of the “Bat Phone” which Kirk uses to answer the questions and comments that come in from the audience. Each week we bring in interesting people from the work of biking.